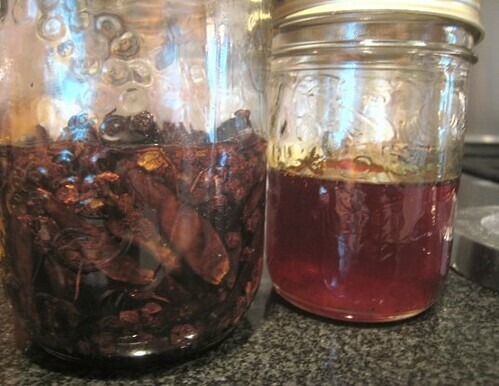 So to what use did I put our two different chile oils: Sichuan peppercorn oil and red chile oil? Why, to flavor popcorn, of course! For me, I needed to use both oils. 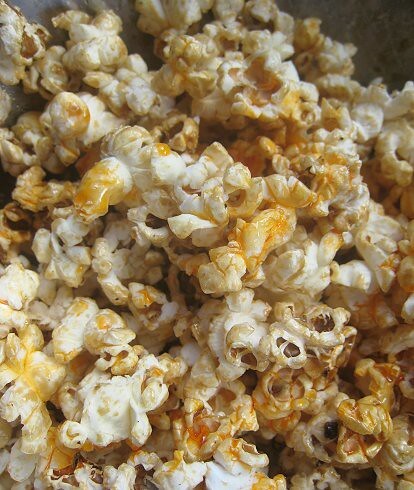 The Sichuan peppercorn oil gave the popcorn its characteristic "numbing" sensation, while the red chile oil lent heat. 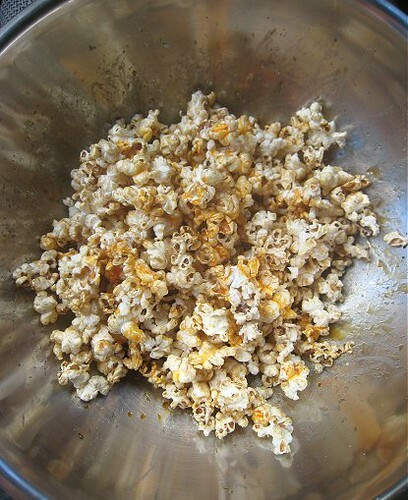 To make this, I simply popped some popcorn using our air popper, then drizzled the whole lot with the two oils. I seasoned with salt too, of course. 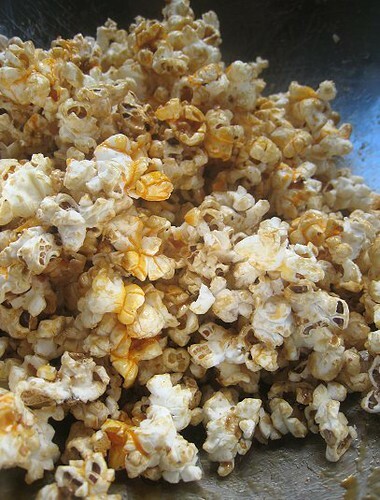 Then, to make the popcorn extra delicious, I decided to mix in some caramel sauce as well! No fancy caramel recipe here with corn syrup and all that. I simply melted some sugar (brown, in this case), added the tiniest amount of water, and waited for the sugar to melt and slightly thicken, and turn a nice color. You sure are a genius! LOL! I can't wait to taste what a Sichuan popcorn tastes like. OK all the talk of chili makes me want to go out for lunch ... Sichuan! This was brilliant!!!!!! Perfect for this weekend too! You are a genius! I was just thinking this would be great with noodles or wontons! This really excites our palate, great creation of popcorn flavor. Most excellent use of your oils!! It was kinda spicy, lol., But the sweet caramel offsets it, if that convinces you. Hehe. Now that I see this again, I want to make it... or should I say, EAT IT!